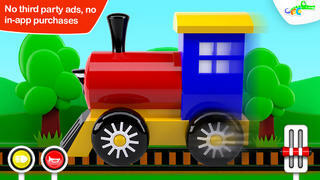 A great app that will test and develop your young child’s visual and memory skills in a very fun way. 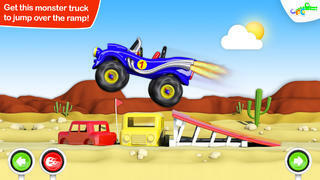 The app is excellent for little ones and they will enjoy playing with this app. The app receives 5 Stars and EAS Recommended Status. You are rewarded with the possibility of playing with it in the backdrop of a landscape so that you can manipulate how the automobile works and moves. The app has been created by a team of parent developers who take care to create games in a safe environment without any in-app purchases or external links to other internet sites. The colours are vibrant and the images rotate so that you can “look around” your toy and decide where to place each piece. The layout is the body of the toy on the right hand side and then the parts of the toy that need to be located and positioned correctly on the right hand side. 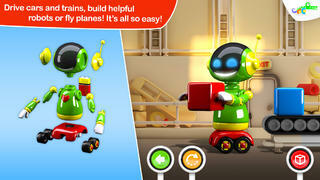 The app introduces children to concepts of right- left and back-front and symmetry. In order to complete the game, children will have to rely on their concentration skills which is great for developing future attention for when they go to school. Whether your children are fans of Bob the Builder or Lightning McQueen and the crew from Disney’s Cars and Planes, they will love building all manner of things that go. 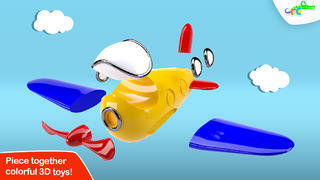 A car, airplane, ship, choo choo train and classic motorbike are just a few of the fun vehicles kid will learn to construct in sharp 3D with this engaging early learning app perfect for ages 3-5. 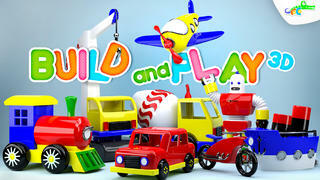 · Twelve classic toys in bright primary colors – airplane, car, cement mixer, motorbike, ship, train, crane, digger, monster truck, firetruck and robots.